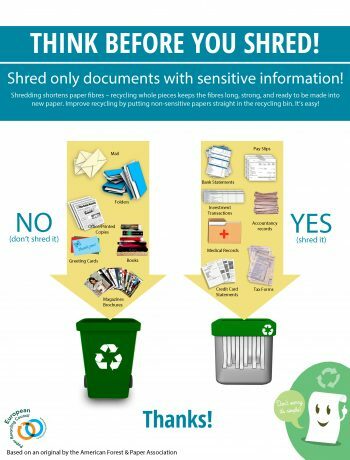 A useful guide on which documents should go to the shredded and which should be recycled as they are. Based on the original publication of AF&PA. 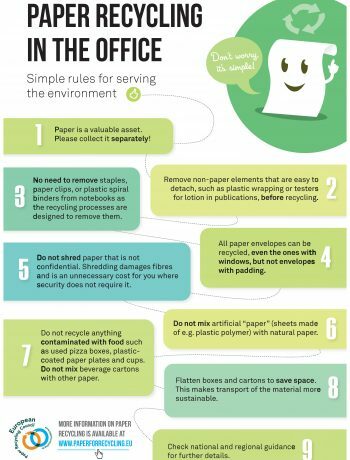 Ten rules for paper recycling in the office. You can print this in your office as a guide! This document is under amendment. 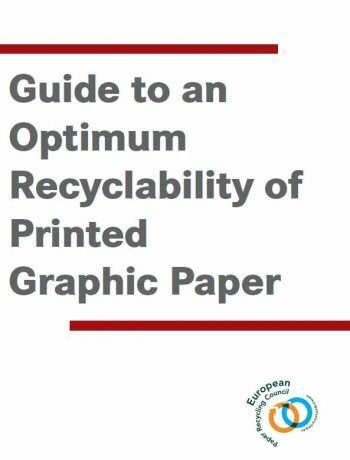 This paper deals with the recycling of graphic paper for recycling, for the production of graphic paper and other white papers. For brown packaging, other recycling techniques apply. The sufficient removal of adhesive applications is one of the challenges for the paper manufacturers using paper for recycling. 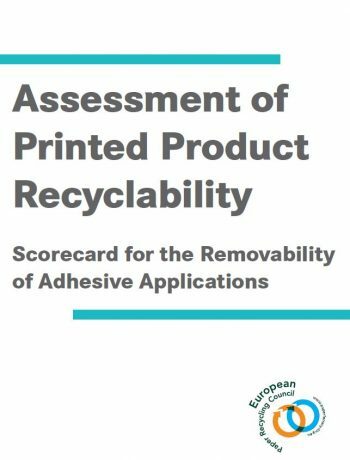 This EPRC document provides an assessment of the removability of adhesive applications of a printed paper product as one aspect of its recyclability. The assessment is done by evaluating results of a laboratory test procedure. It is applicable to all kinds of printed paper products containing any adhesive applications.